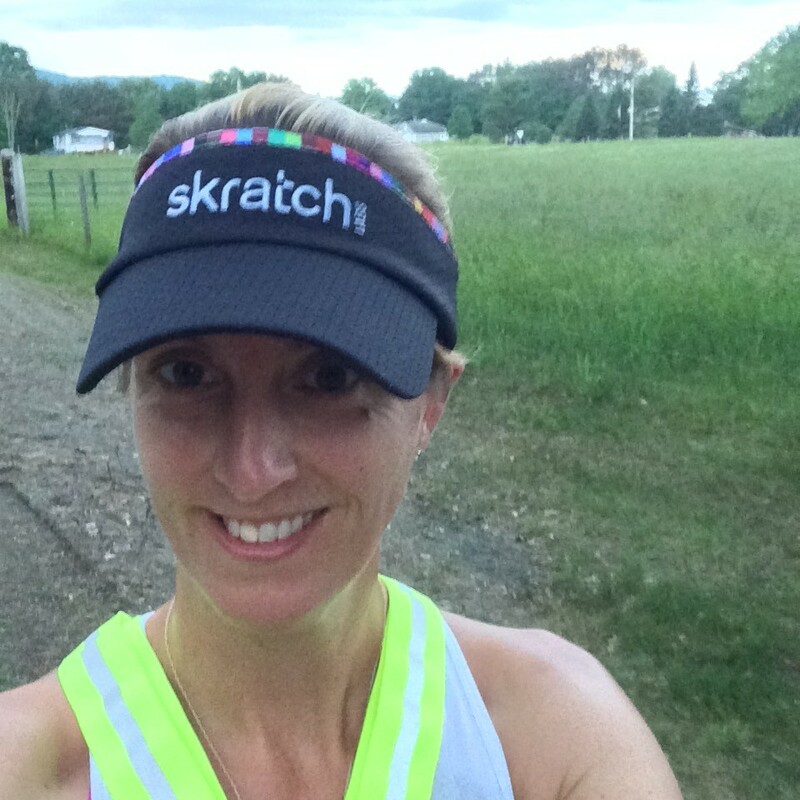 Have you ever challenged yourself to run a race on your own, (a virtual race) on your own time? I’ve run virtual races before but haven’t truly raced them. 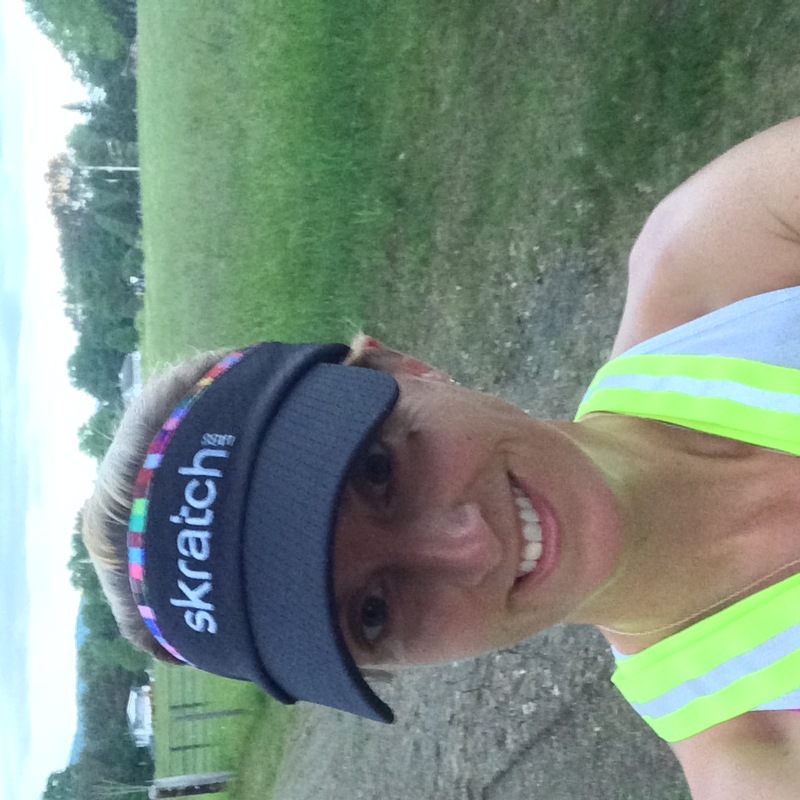 Last week I had the chance to test my speed last when I ran the Skirt Sports Virtual 13er. Life is totally hectic right now with two little kids home for the summer and a traveling husband so when I finally had the opportunity to run my 13er I went for it. I raced it! I didn’t do the usual pre-race prep: tapering, pre-fueling, hydrating pre-run. Instead, I basically dropped what I was doing and got ready to rock the run. Grammy took over watching the kids (thank you Grammy). 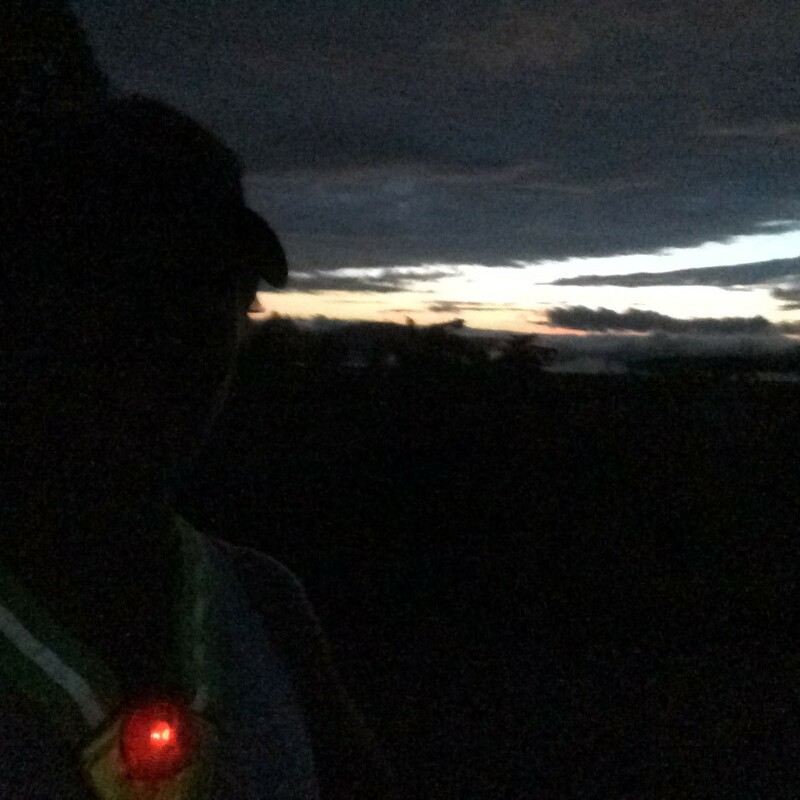 I cleared the kids dinner dishes, changed into my Skirt Sports, put on my Amphipod Xinglet with flashing LED’s (awesome for running at dusk or early morning hours), a visor, with a blinkie clipped on back, laced up my Mizuno’s and headed out the door. The time when I left my house? 6:15 p.m. Kind of an odd time to start a half marathon but sometimes the evening is when I run my best (did you know my first Boston Marathon qualifier was at a night race?). The temperature was perfect and the road presented me with the solace that you crave on a run. Dusk in summer in my town is heavenly, the peeper frogs sing their choruses, the road meanders along the Connecticut River Valley on one side overlooking the Vermont sunset with a mountain backdrop on the other side that turns pink as the sun fades. It was humid but I relished the sweat dripping. Sometimes sweat can feel so cleansing. As I headed out I quickly settled into a strong pace which wasn’t to hard because the roads leading from my house go downhill for quite a ways. 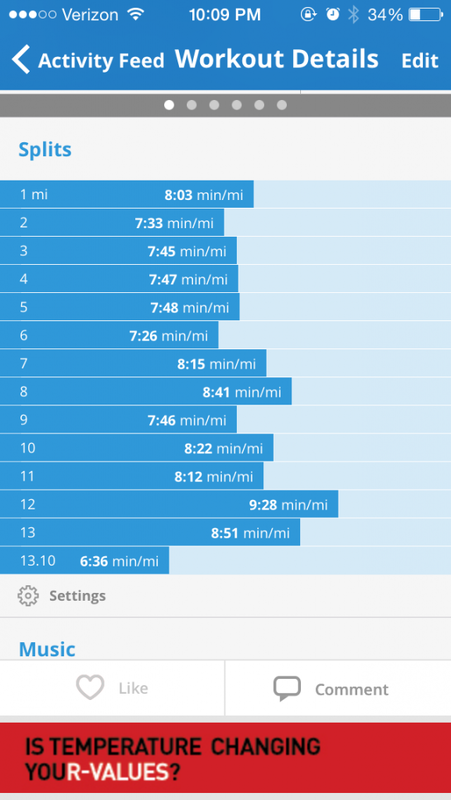 I tried to keep my pace steady but ran by feeling rather than by looking at my watch. I knew that I might be regretting running at such a quick pace during the first half but my legs felt good and it felt so good to run fast. The “course” I chose brought me by the local Organic dairy farm and then down the hill past our Organic Egg farm, Pete and Gerry’s. I wound my way past local farm stands and down towards our little village, the Connecticut river on my right, the mountains to my left, a perfect 13er race course. I reached the halfwaypoint, 6.55 miles in 50:56. I was sweaty and feeling good. I turned around to head back home and was drenched in sweat. the humidity had picked up during the run. Thankfully it started to drizzle for a few minutes which cooled me off. At this point in the run I was thankful to have brought along my Fuel Belt with some water and some Skratch Labs. I also had a delicious squeeze pouch of CLIF Organic Energy Food (GIVEAWAY alert! ), the Banana Mango Coconut pouch, my absolute new favorite running fuel! I was thankful for some nutrition before returning back up those hills to my house. I was also thankful to have one of my friends drive by with a wave and then a text cheering me on! Halfway There! 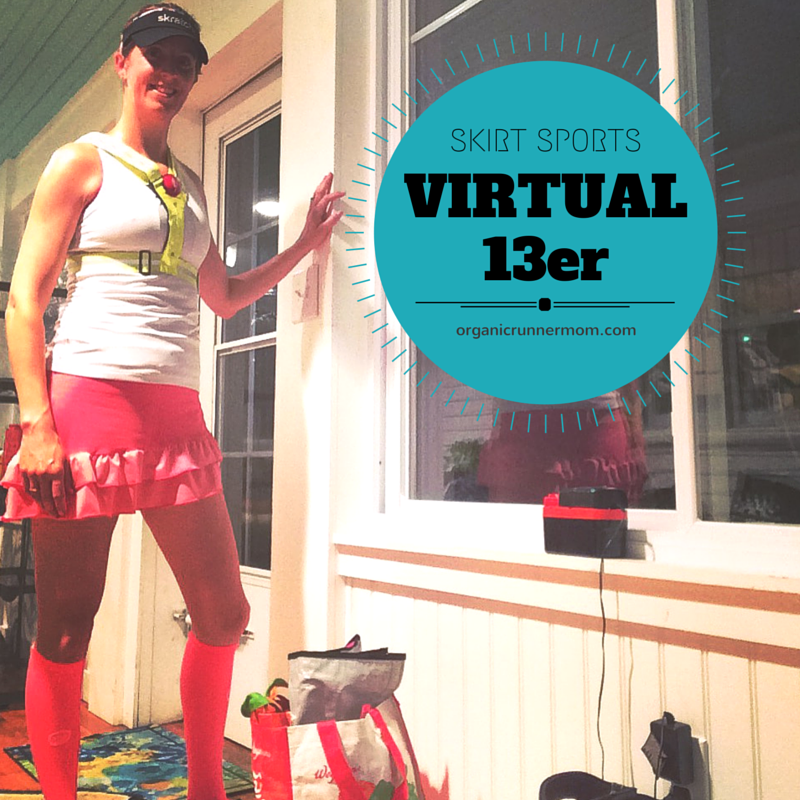 Skirt Sports Virtual 13er. 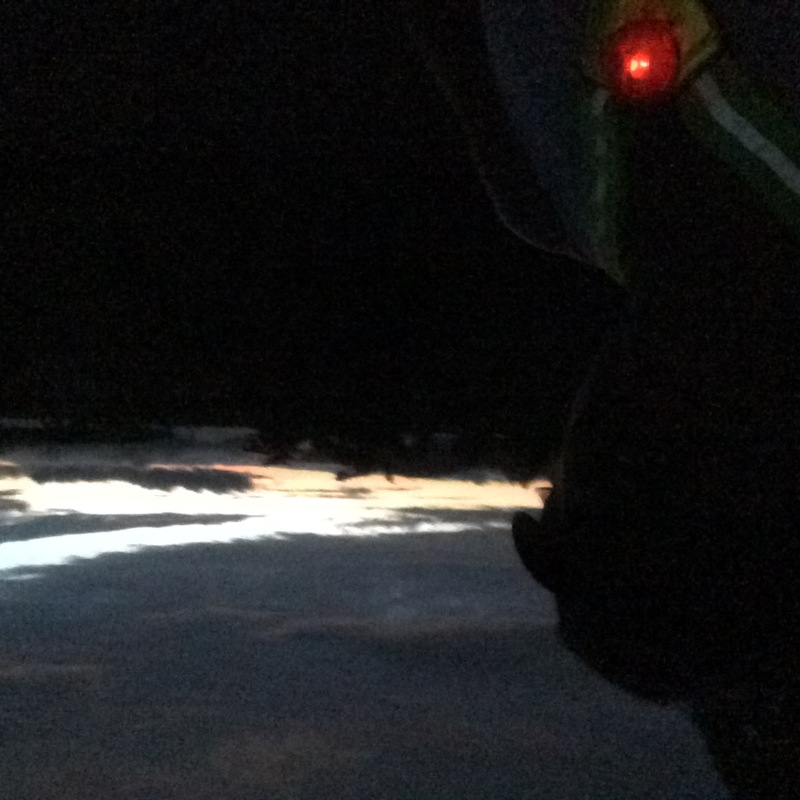 It was starting to get a little bit darker so I was glad to have my reflective vest and flashing lights. The air began to grow cooler which also felt nice as I trucked along and was beginning to hit the hills. I continued to push on running by feel and was glad when I made it back to the Monroe sign because I knew that I only had 4 miles left. When you are running a half marathon it is best to think about the number of miles you have run during the first part and then the miles you have left during the last part. This can make the distance seem more manageable. My calves were beginning to feel the downhills and I knew I would be sore for the next couple of days but I wanted to challenge myself to finish strong. The last hill happens with about 1 and a half miles to go (passing right by our farm) and seems endless but I have been learning to just run and to not think about it. As I ran up the last hill darkness had fallen and the stars were beginning to appear. Once I made it up the last two big hills I knew I was in the homestretch and worked to use all of the energy that I had left. When I hit 13.1 miles I stopped my watched and was psyched to see that I had run the 13er (half marathon) in 1:47.03!!! I was stoked! Last year I ran the Skirt Sports Virtual Half Marathon running on the same “course” and finished in 159.04. Woohoo!!!!! This was a good test of my training and my current fitness level. I am so pleased to have such a positive outcome on this run because I have’n’t done much racing lately and also because of my 5 month running hiatus this year with a back injury. I finally feel like I am back in the groove! I am currently enjoying training hard without a heavy racing schedule and hoping that staying true to my training will pay off come race day at the Timberman Ironman 70.3 in mid-August! Have you ever run a virtual half marathon or any other virtual race? What did you enjoy? What was difficult? Love the vixen too! Congrats for getting it done at night super impressive times too!